Coffee is delicious, I love it. So much so, I used to claim I'd prefer to "drink my dessert" than give up coffee. But it was time for us to break up. My love affair with caffeine was reasonable with little side effects. I drank one full (strong) french press a day, and occasionally grabbed a large coffee on the run. I could drink a cup at 10pm and go right to sleep -- caffeine didn't impact me. Or so I thought. According to the National Sleep Foundation, the average adult requires 7-9 hours of sleep per night. Acknowledging that sleep is very individual, surely they would frown upon my sleep patterns. Prior to this year, I hadn't sleep 7 hours a night consistently since 2010. Between pregnancy insomnia, finicky babies, regular feeders and bed wetters, I could not even average 2 nights per week of 7 hours. In fact, I was often operating much closer to 4-5 hours per night. Early this year, we hit a sweet spot with the boys sleep. They regularly went to bed around 8:00 at night and woke up between 5:30-6:00 in the morning. Behr and Hudson fell into the same routine and schedule with very few interruption in the evening. But I was still staying up until 1:00 am doing work, trying to crank through exhaustion. After a week at my parent's house with my snobbish consideration of sub-par coffee, I realize I had consumed far less than my norm. Perhaps now was the time. On Sunday, I skipped coffee. But Tuesday, I got a migraine so bad, I started hallucinating, something that hadn't accompanied my migraines for over 20 years. At that point, I knew I needed to stick this out. No more coffee. We are now in the middle of week 3 of no coffee, four if you count the weaning week. And there are noticeable changes. 10 pm or very near after is my bedtime. At a wedding last weekend, around 10:30, I realized I had hit my limit. Gone are the days of being awake always. Black tea is my new best friend. I am still getting a bit of caffeine, but without any cream, sugar, or any form of sweetener. It is also refreshing in the already muggy DC heat. I have lost weight, considerably. A combination of regular sleep, walking more with the nicer weather and the coffee, no doubt. But this result is good. My attitude is brighter. Not having the peaks and valleys of sugar surges, I find my day is smoother. There is no hard evidence of this, but it certainly feels better. No hindrance in efficiency. I am getting the same amount of work done in the same amount of hours, but without the necessary breaks for more coffee. I am not planning on drinking coffee soon. If I do start again, its going to be black. And likely just a sip here or there. I would love to get to a point where I can enjoy a coffee or a latte occasionally, but that coffee is not a requirement of my day. Do you drink coffee? Never touch the stuff? Or gave it up like me? Have you ever quit a food (or beverage) vice? Or anything cold turkey? Woah, this is such a great explanation of what coffee can do to us. I used to drink about 2-3 cups of coffee a day; 1 cup would not suffice. For the last couple of months, I have been only drinking 1 cup of coffee. I don't use creamer rather, unsweetened almond milk and a dash of honey. I have on occasion not drank coffee for a few days but returned to it because of severe migraines. 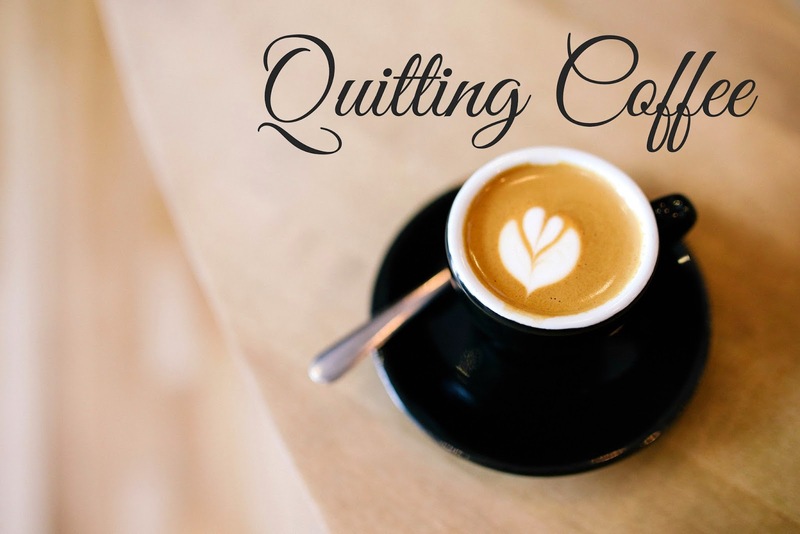 I used to occasionally quit coffee for several weeks so that I could "flush my system" of it, and not be dependent on it. However, it's been a few years since I've done that, and I am mostly definitely addicted to it now. I'd be curious to see how it affects me to quit for awhile, and what changes I'd see in my health and sleep. Thanks for sharing your experience!